When Christopher Columbus first set foot on the white sands of Guanahani island, he performed a ceremony to "take possession" of the land for the king and queen of Spain, acting under the international laws of Western Christendom. Although the story of Columbus' "discovery" has taken on mythological proportions in most of the Western world, few people are aware that his act of "possession" was based on a religious doctrine now known in history as the Doctrine of Discovery. 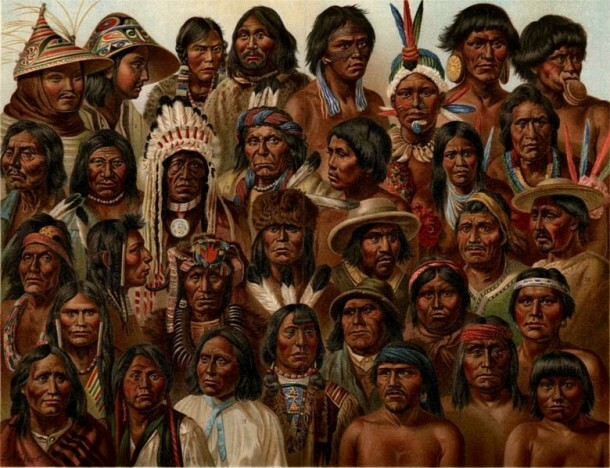 Even fewer people realize that today - five centuries later - the United States government still uses this archaic Judeo-Christian doctrine to deny the rights of Native American Indians. Papal Bulls of the 15th century gave Christian explorers the right to claim lands they "discovered" and lay claim to those lands for their Christian Monarchs. Any land that was not inhabited by Christians was available to be "discovered", claimed, and exploited. If the "pagan" inhabitants could be converted, they might be spared. If not, they could be enslaved or killed. The Discovery Doctrine is a concept of public international law expounded by the United States Supreme Court in a series of decisions, intially in Johnson v. M'Intosh in 1823. The doctrine was Chief Justice John Marshall's explanation of the way in which colonial powers laid claim to newly discovered lands during the Age of Discovery. Under it, title to newly discovered lands lay with the government whose subjects discovered new territory. The doctrine has been primarily used to support decisions invalidating or ignoring aboriginal possession of land in favor of colonial or post-colonial governments. John Marshall, who is most credited with describing the doctrine, did not voice wholehearted support of the doctrine even while using it to justify judicial decisions. He pointed to the doctrine as simple fact, looking at the possession-takings which had been supported by it as things which had occurred and had to be recognized. The supposedly inferior character of native cultures was a reason for the doctrine having been used, but whether or not that was justified was not relevant for Marshall. This Doctrine governs United States Indian Law today and has been cited as recently as 2005 in the decision City Of Sherrill V. Oneida Indian Nation Of N.Y. In July 2009, The Episcopal Church's General Convention approved Resolution D035, titled "Repudiation of Doctrine of Discovery." It repudiates and renounces the Doctrine of Discovery as fundamentally opposed to the Gospel of Jesus Christ and our understanding of the inherent rights that individuals and peoples have received from God, and that this declaration be proclaimed among our churches and shared with the United Nations and all the nations and peoples located within The Episcopal Church's boundaries. "United Nations Declaration on the Rights of Indigenous Peoples," which the United States has refused to endorse (only the U.S., Canada, New Zealand, and Australia have failed to sign on). Insert for the worship bulletin on the Sunday before Columbus Day. As we prepare to mark the anniversary of Columbus' "discovery" of the New World, are there ways we can engage in conversation about the rights of native peoples?